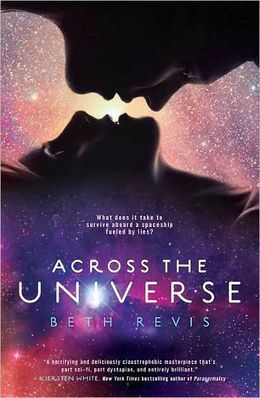 Across the Universe by Beth Revis is a horrible, and horribly boring, book. Maybe it’s just me (because I’m not much of a sci-fi person), but I just could not get into this story. The beginning isn’t completely horrible, when they describe cryogenically freezing the main character, Amy, and her parents. They are putting them on a spaceship named Godspeed, where they will remain asleep on the 300 year journey it will take to “the new Earth.” This new planet is called Centauri-Earth. However, something goes mysteriously and terribly wrong, when fifty years prior to reaching Centauri-Earth, cryo chamber 42 (Amy’s chamber) is unplugged and she wakes up early. Refreezing her would be risking death, therefore, Amy’s only hope at survival is to remain awake and live upon the spaceship. Elder is being trained to be Godspeed’s new leader by Eldest, the current leader. Elder is a bit rebellious, and not completely content to follow the ways of the ship, like a good little soldier, without asking questions. Elder is also enraptured by Amy. She is the only teenager on Godspeed aside from Elder. The rules that keep the ship running are completely utilitarian. Every person aboard the ship performs an exact function. They basically are mindless slaves, who farm to provide food for the ship. And they ALL look alike from years of breeding (and inbreeding) aboard the ship—this is also why Elder finds Amy fascinating…she has an actual hair and eye color. 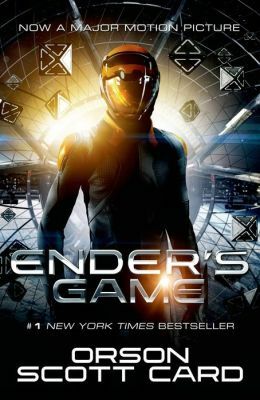 The way the people on the ship live completely repulsed me…it was way worse than in other dystopian tales, such as Matched, The Hunger Games, and The Pledge. They are pretty much cattle. The breeding was the worse…when it becomes a generation’s “season,” they basically put Viagra in the water supply, causing everyone to hump like rabbits ALL OVER THE SHIP, with no regard, whatsoever, to modesty. They literally just mount each other and go at it in the middle of the road. Of course there is a whole “unveiling” of a deeper plot, but whatever. I was totally disinterested by that point and didn’t even care. And all of the reviews called the book completely romantic and spicy…completely FALSE. I don’t how I even made it all the way through this book. I give it one out of five stars.